Joed Viera/Staff Photographer-Olcott ,NY-The Miller family gathers in front of Engine No. 2 at the Olcott Volunteer Fire Company. 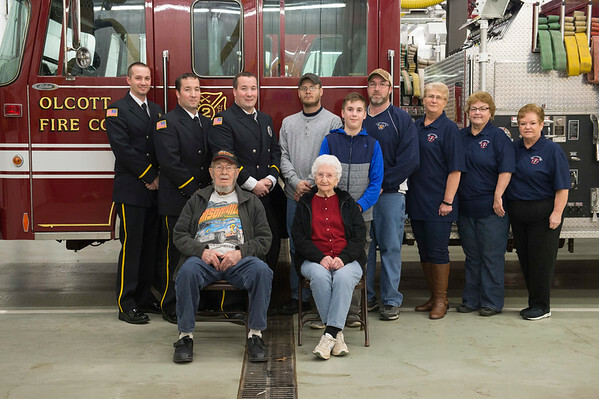 Pictured from left to right, front row, Clifford Miller Sr and his wife Bev Miller, center row, jr. firefighter Jacob Miller, 12, back row, Olcott firefighter’s Jeff Grimes Jr, Michael Miller, Steven Miller, Chris Miller and Jonathan Miller, Barb Miller, Terry Miller and Joanne Baldassarre.